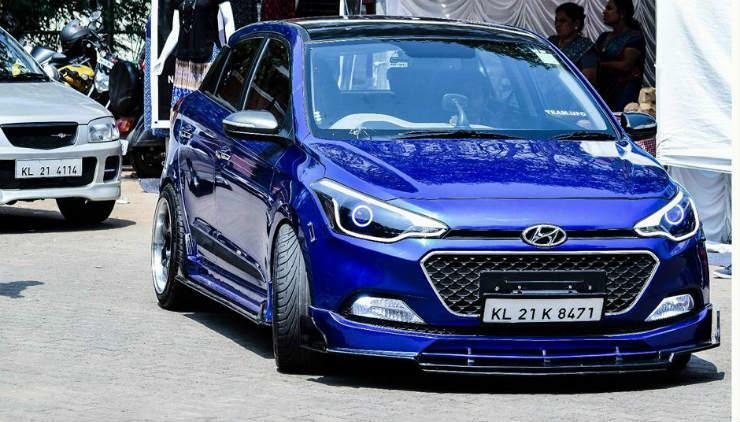 Modified Hyundai Elite i20s: 10 great examples! The Elite i20 from Hyundai is easily the best looking premium hatchback in India. In terms of visual modifications, the car serves as an excellent platform to build upon. Here are 10 such tastefully modified examples from around the country. 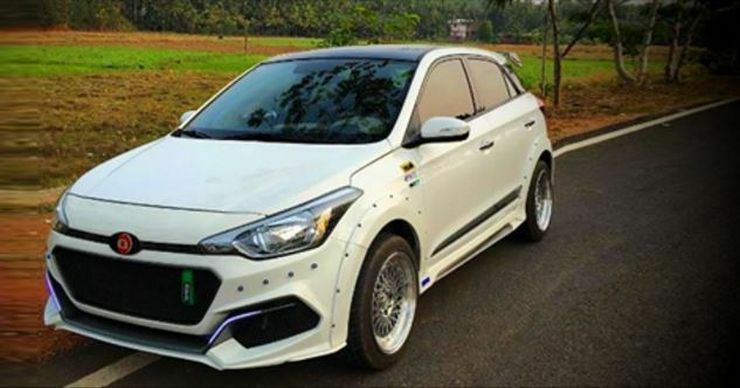 Motormind Automotive Design of Bangalore has built a body kit for the i20 Elite, one that makes the hatchback sharper looking. The custom car seems apt for those who want edges rather than curves. The changes are carried over to the flanks, which get side skirts. 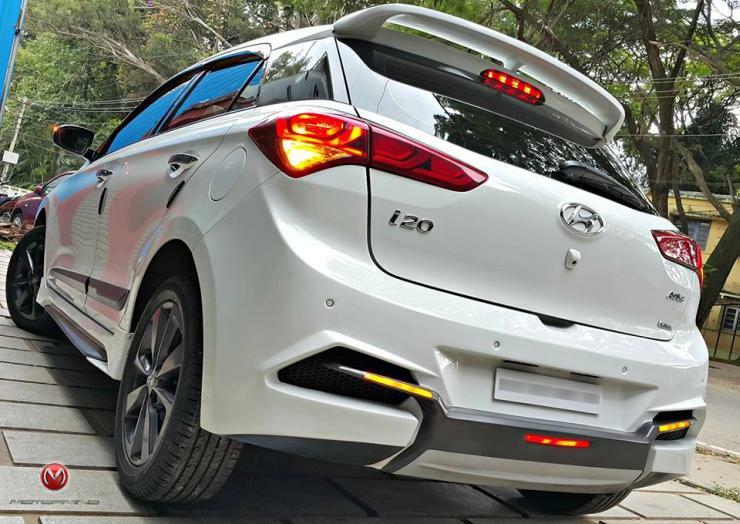 A split style diffuser sits on the rear bumper while a hatch lid spoiler rounds off the sporty design’s intent. Other interesting bits include projector headlamps with angel rings, and an LED daytime running strip placed on the front bumper. Kit Up! of Coimbatore is known for its body kits – some tasteful, others wacky. In case of the i20 Elite, things seem to have worked out quite well. 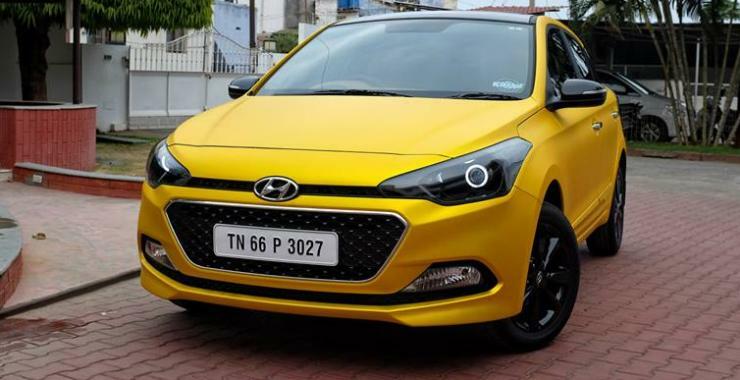 The car gets a good looking yellow wrap, blacked out alloy wheels, tail lamps and roof. It also features projector headlamps with angel eyes. The interiors have been given a plush makeover with leather. The end result makes it look quite attractive. The i20 Elite looks gorgeous when it hugs the road. This examples does just that courtesy lowered suspension and 17 inch rims running low profile tyres. The car also features a body kit that accentuates its lowered stance. Customized headlamps and tail lamps are other changes. 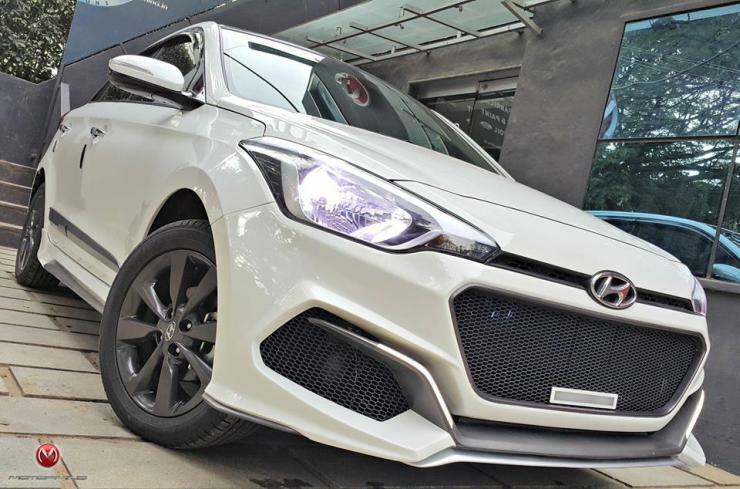 Meet the only wide-body i20 of the country.Drift Automotive Design makes these body kits, which include front and rear bumpers, side skirts and custom wheel arches. This car rides on 16 inch rims, low profile rubber and TEIN suspension. It’s easy to transform any car’s appearance with a well done body wrap. Good ones save you the hassles of painting, and you get to protect the original paint, too. Here’s one such example done up in a vivid shade of blue. Second looks guaranteed!